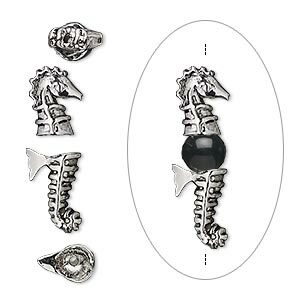 Bead cap, antique silver-plated bronze, 28x9mm with 10x9mm seahorse head and 11x9mm seahorse tail, fits 6-10mm bead. Sold per 2-piece set. 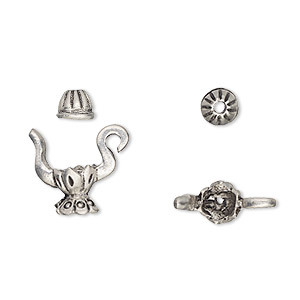 These bead caps offer incredible quality and charm for a fraction of the price of precious metals. 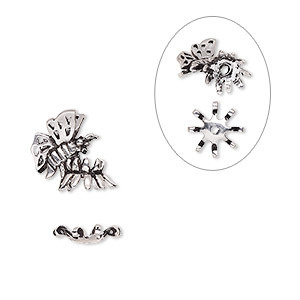 Fits 6-10mm beads. 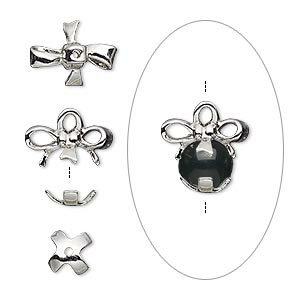 Bead cap, antique silver-plated bronze, 18x11mm with 11x11mm butterfly and 9x9mm bottom cap, fits 8-10mm bead. Sold per 2-piece set. 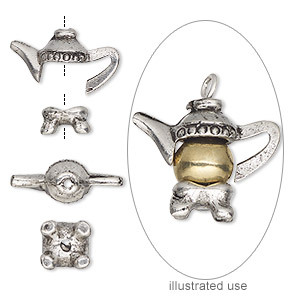 Bead cap, antique silver-plated bronze, 15x13mm with 13x9mm bow and 7.5x7.5mm bottom cap, fits 6-8mm bead. Sold per 2-piece set. 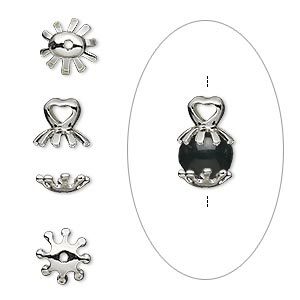 Bead cap, antique silver-plated bronze, 15x8mm with 8x7mm heart and 7.5x7.5mm bottom cap, fits 8-10mm bead. Sold per 2-piece set. 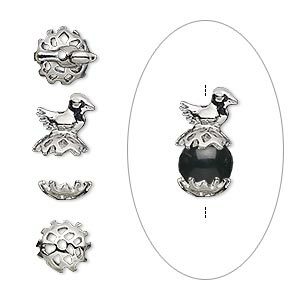 Bead cap, antique silver-plated bronze, 16x9mm with 9x9mm bird and 8x8mm bottom cap, fits 8-10mm bead. Sold per 2-piece set. 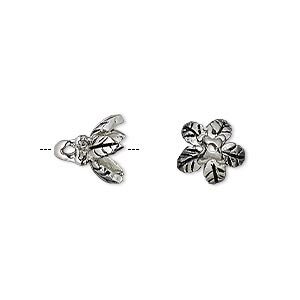 Bead cap, antique silver-plated bronze, 10x10mm leaf, fits 8-10mm bead. Sold individually. 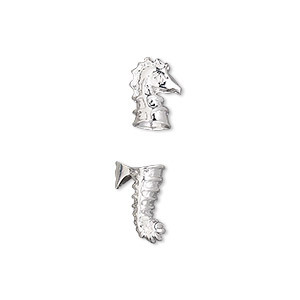 Bead cap, silver-plated bronze, 10x9mm seahorse head and 11x9mm seahorse tail, fits 6-10mm bead. Sold per 2-piece set. 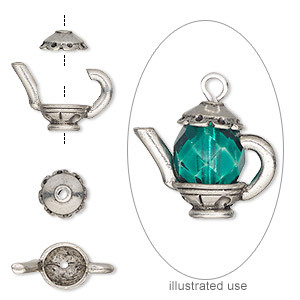 Bead cap, antiqued pewter (tin-based alloy), 15x11mm fancy teapot, fits 4-5mm bead. Sold per 2-piece set. 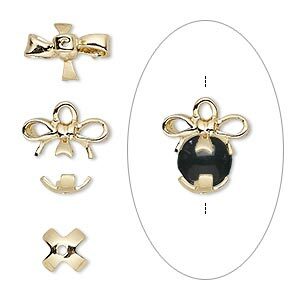 Bead cap, antique gold-finished bronze, 15x13mm with 13x9mm bow and 7.5x7.5mm bottom cap, fits 6-8mm bead. Sold per 2-piece set.